How is your day coming along? Mine is all fine except for some deadline thing which I am supposed to finish by today evening. Let's see if I can make it happen. Am pretty nervous about it. Coming to the product under review today, it has become a current favorite of mine. In fact, it is something which I have not believed in using and had only one till now. But now suddenly it seems as if I have discovered and uncharted territory which I am up for exploring. 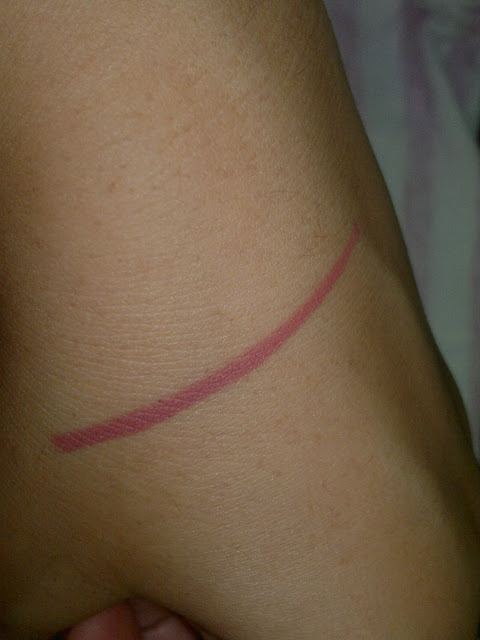 The product is a lip liner as you already read from the title of the post and is from Bourjois Paris, a brand which I had been dying to try out and this product was a must buy from the time I swatched it. The shade is Enjoleuse, 11. Price: INR 240 for 1.14 gm of the product. It is packaged as a sharpenable pencil with a plastic cap. 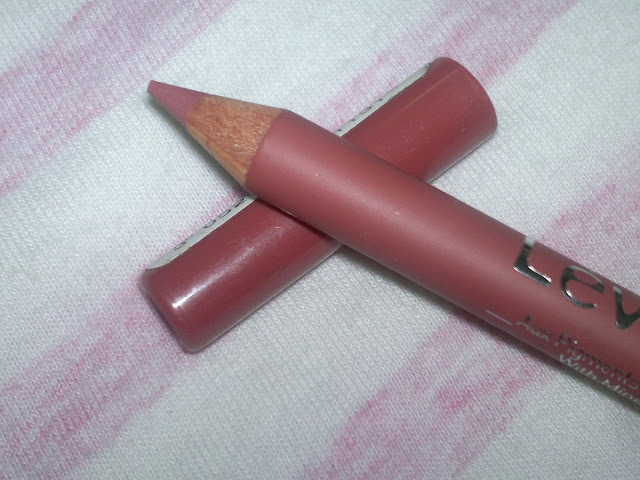 Both the cap and pencil body are of the same color as the lip liner itself, enabling easy distinction from other pencils. I am totally in love with this lip liner, the texture is oh so soft, yet not melting soft, just glides on your lips giving beautiful color. The lip liner also keeps the lipstick from bleeding out and makes my lipstick last longer. I am an ardent fan of this lip color, for me it's MLBB (my lips but better) shade and am planning to buy more shades from this range. At this price I would say it is a steal, keeps lips moisturized and gives a very natural matte color. Could be easily topped up with a gloss for adding plump and shine to your pucker. 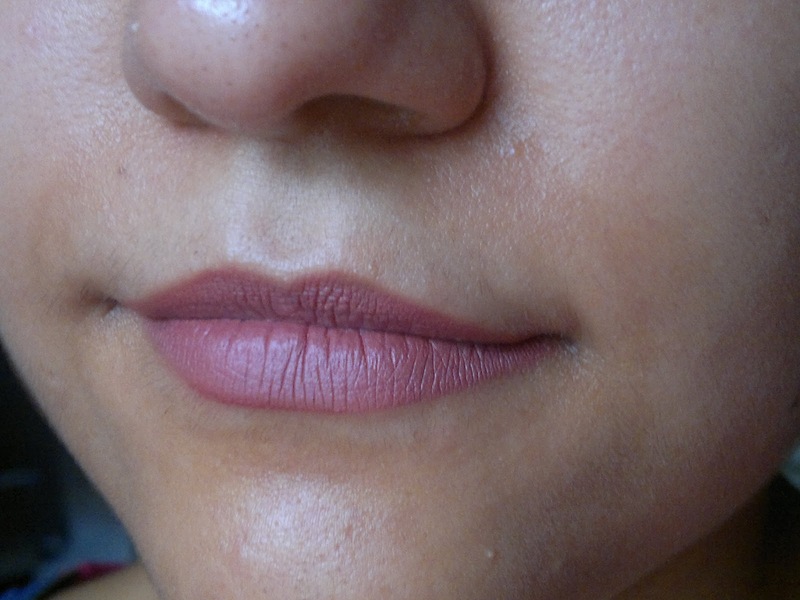 The staying power of the lip liner is pretty decent and it stays put for 3-4 hours with light snacks on me. Definitely prolongs the life of lipstick as it provides a very effective base, even to the more melting type lipsticks. Product rating: A+, available at all bourjois counters (in westside), and at selected online shopping website. Would recommend this to one and all, the quality and price make this is a must have product for every makeup lover out there, so go grab it girls. 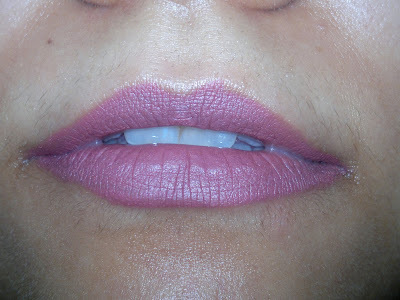 Namita, I remember a lot of ladies wearing lip liners the wrong way..they look very funny..
good buy kumkum..the color looks awesome..and neutral enough to go with a lot of lipsticks..i like to use lip liners, and have a few different shades..
which lipstick are you wearing in these pictures? looks quite matte and nice..
thanks GP, I got it because it was like my natural lip color :) and the lip swatches are not of lipstick, it's the lipliner on its own, looks very good MLBB shade when worn alone.